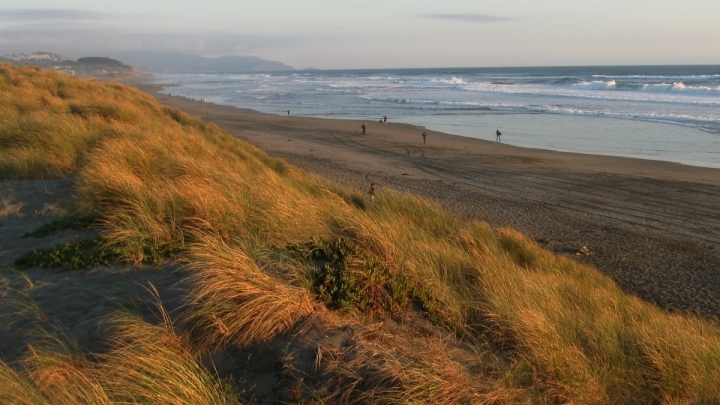 Ocean Beach in San Francisco was hit hard by erosion last winter. Pacific Ocean storms strengthened by a powerful El Niño and global warming caused yawning erosion from Washington state to California a year ago. 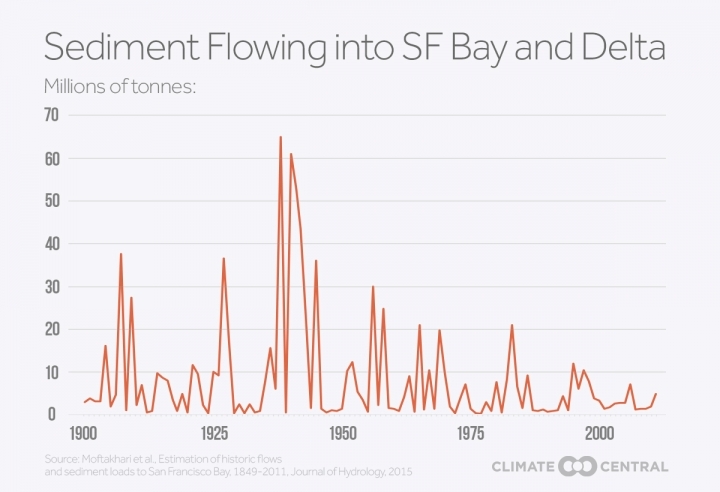 The problem was severe in the San Francisco Bay Area, where unprecedented beach losses were worsened by a shortage of shore-nourishing mud and sand that flows from mountain valleys to beaches through rivers and bays. The combination of powerful storms and the sediment shortfall produced what U.S. Geological Survey coastal scientist Patrick Barnard called a “worst-case scenario” that “may be an indication of what’s to come.” Barnard led research published Tuesday in the journal Nature Communications that measured unprecedented West Coast erosion from storms last winter. During the final weeks of Obama’s presidency, Congress passed a water infrastructure bill that aimed, among other things, to curb worsening coastal erosion. The bill is an early bipartisan step toward reforming how the Army Corps of Engineers manages sediment scooped up while dredging for the shipping sector. The bill was sponsored by Republicans and explicitly mentions sea level rise in a handful of places, a departure from recent efforts by some Republicans in Congress to downplay threats posed by climate change. Seas are rising at a hastening pace because heat-trapping pollution is expanding ocean water and melting ice, which is already causing routine flooding in some cities. Marshes and other natural coastal bulwarks can grow taller as seas rise, protecting against floods, but most of them need sediment-rich waters to do so. The loss of shoreline-building sediment is coinciding with an increase in the rate at which seas are rising, making it harder for marshes and other coastal ecosystems to stay above water. Climate change is also exacerbating storms, which worsen erosion through powerful waves. The changes are increasing the urgency of America’s sediment crisis and starting to bring national attention to what once was an obscure issue. The final version of the Water Infrastructure Improvements for the Nation Act, or WIIN, didn’t go as far as some earlier drafts in reforming how sediment is handled, such as by laying out new rules for how the Army Corps uses its dredging spoils. Instead, the law directs the agency to run 10 pilot projects across the country in which dredged sediment will be used to restore and protect coastlines instead of being dumped as waste, often at sea. That could lead to new rules and procedures affecting the use of sediment dug up during federal dredging work. “Having some good pilot projects around the country that will demonstrate how to best use and how best to fund and plan for beneficial use projects will be very helpful,” said Derek Brockbank, executive director of American Shore and Beach Preservation Association, which represents coastal communities. The Army Corps plans to finalize its list of pilot projects in the spring, at which point it may need to seek funding from Congress or agencies. “We don’t have a big pot of money that we can just go dip into for different projects,” said Theodore Brown, chief of planning and policy at the Army Corps. Officials in the San Francisco Bay Area are already pushing to be included in the list of 10 pilot projects. San Francisco’s Ocean Beach retreated 180 feet last winter, which was twice the annual average, Tuesday’s study showed. The beach failed to recover all of that lost ground during the warmer months before the winter erosion season began again. Further south, the city of Pacifica declared a state of emergency last winter and residents were evacuated from neighborhoods atop crumbling cliffs. The natural flow of sediment to the Golden Gate has slowed because of dam building upstream and years of drought, fueling a crisis for agencies charged with protecting coastlines. 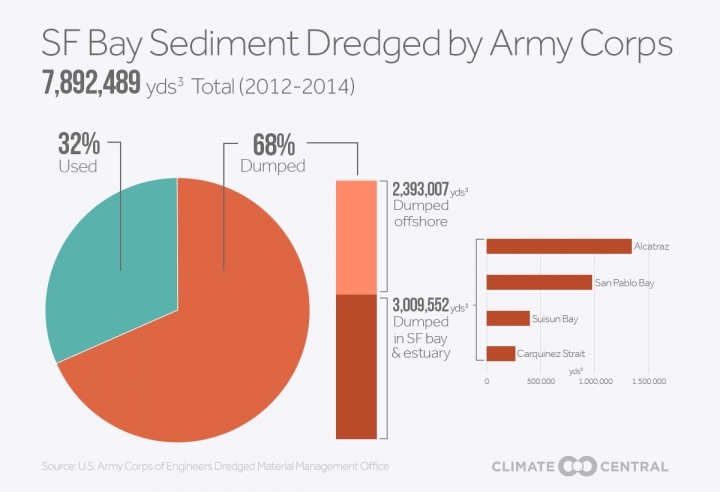 Sediment that reaches the Bay Area is frequently scooped up during ship channeling projects and dumped. Evidence of the sediment shortage can be seen in the decline of marshlands that ring the rivers and bays of the San Francisco Bay Area, where voters last year approved restoration spending to protect roads and buildings from floods caused by rising seas, and across the Gulf Coast.